Saturday afternoon we had a bad storm come through. One minute it was sunny and pleasant and the next minute a storm was moving in. Leaves were blowing across the yard in the swirling air. When I went over to the sliding glass doors and looked out towards the deck, I could hear the wind chimes gently ringing. As the wind got stronger, the chimes rang out louder. Then thunder struck close to the house. I saw the light and heard a loud boom. I quickly turned everything off so nothing could be harmed. Then as quickly as the storm came in, it was gone. The sun came out shining brightly. The rainbow appeared. The only traces the storm had passed through were all the leaves in the driveway and the wet streets. Hearing the wind chimes ringing during that storm got me to thinking. The chimes prompted me with an idea of what I needed to do when a storm of circumstances passes through my life. I needed to “ring out” and “sing forth”. By ringing out I mean to speak out proclamations, decrees or scripture Truths. These pronouncements will let the enemy know where I WILL be standing in this situation. It also makes a firm foundation for my faith to stand on. and the light [of God's favor] shall shine upon your ways. By singing forth I mean gathering with others of like mind to sing forth the praises to God. When I was alone, I could continue by making melody in my own heart towards God until the storm passes. It down poured more then once on Saturday. 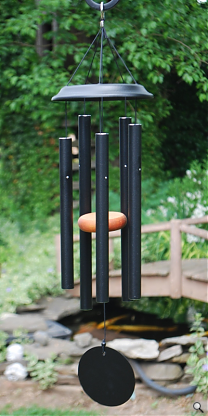 Each time a storm came through, the chimes on the deck would go through the same routine of ringing out and singing forth. Each time I see a storm developing, I need to start the same process as well. If the storm becomes stronger, I need to resolve to ring out and sing forth more passionately. There may be stormy seasons where I seem to have more challenging moments then I feel I am capable of handling. Through these times, I have to keep remembering God is Sovereign over my life. He will not allow any situation to become more then I can handle with His guidance. Sometimes I wish He wouldn’t trust me so much or stretch me so far. But in the end, when the rainbow comes out, I am thankful for the learning process and the wisdom I gained. What the enemy wanted to scare me with, God used to mature me. How do you handle the stormy situations in your life? 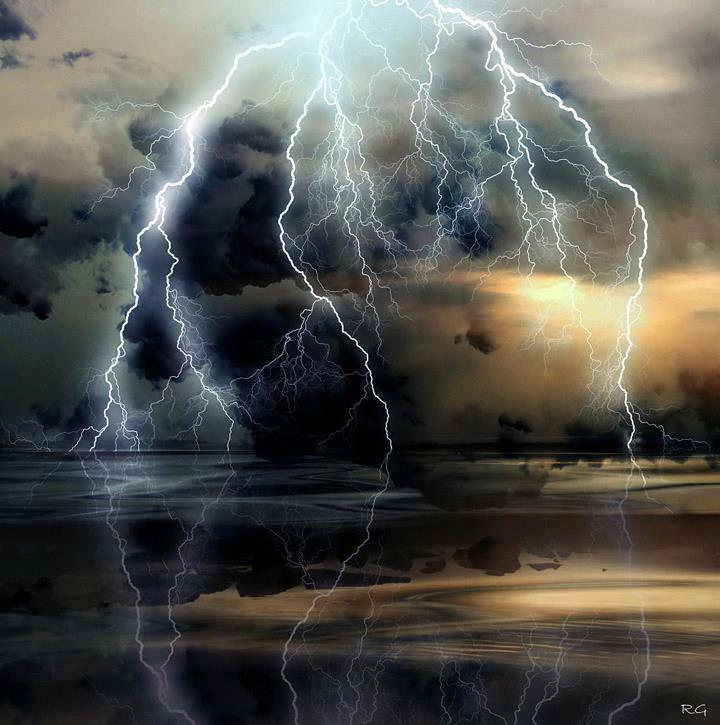 We cannot avoid all storms even though we may be able to dodge some of them occasionally. The next time you notice the wind starting to pick up, try ringing out His Truth and singing forth His praises until the rainbow appears. I sincerely believe you will be glad you did.